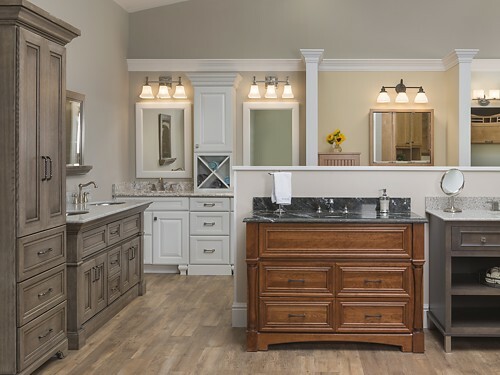 Our Bathroom Vanities Showroom displays a wide range of styles and finishes for your inspiration. Several brands of cabinetry are featured. We invite you to come in to examine the fine quality of the cabinetry in person. Browsers are always welcome, but an appointment is suggested for design services.